By Peteris Kelle in Graphics. Updated on May 8, 2018 . 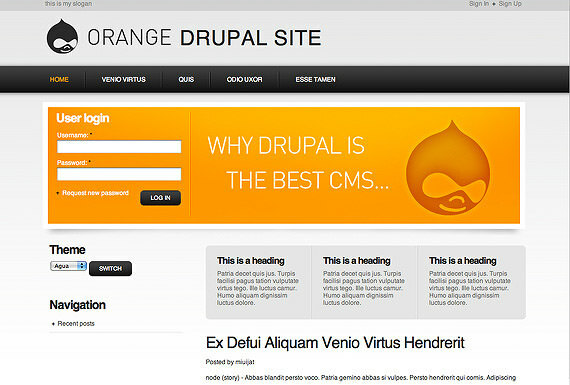 Drupal is a free and open source content management system (CMS). 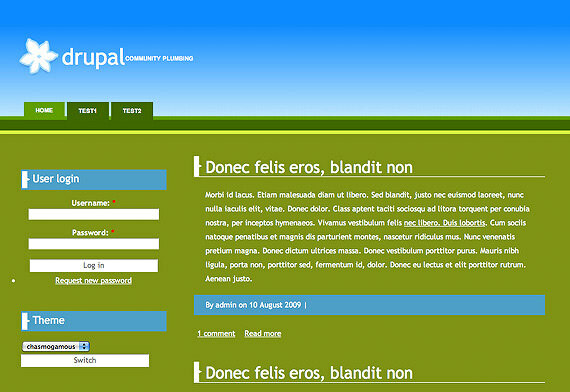 You can build a whole website using Drupal. 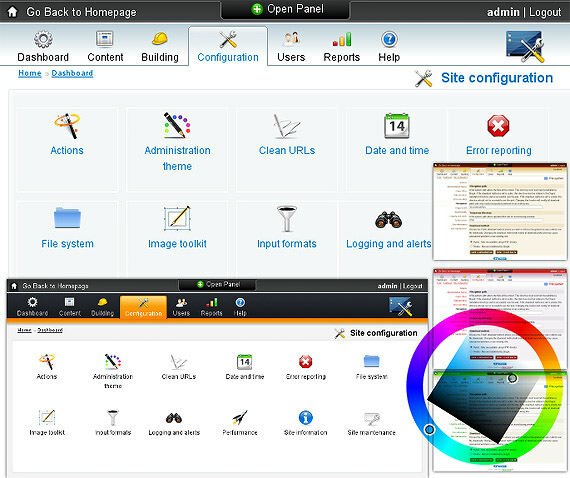 You can create your own design (theme) for your website or you can download templates which are made for Drupal from the internet. 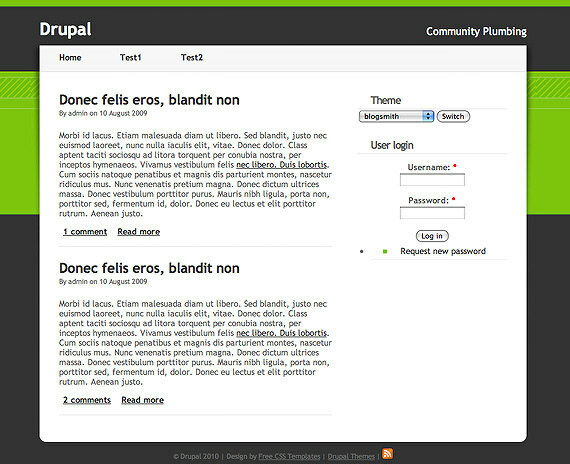 There are hundreds of Drupal themes which you can find on the internet but not all of them are good looking. 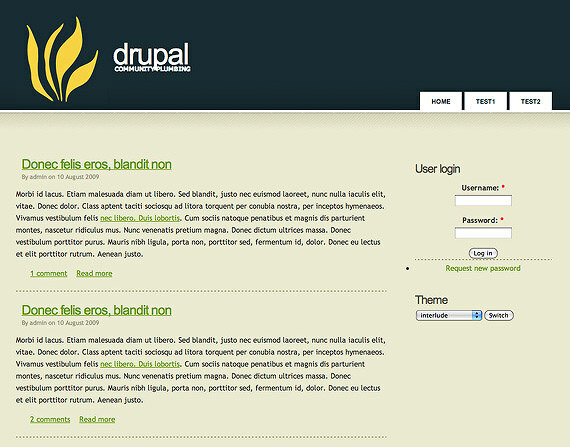 So, this time I have collected the 50 best looking Drupal 6 themes I have found. 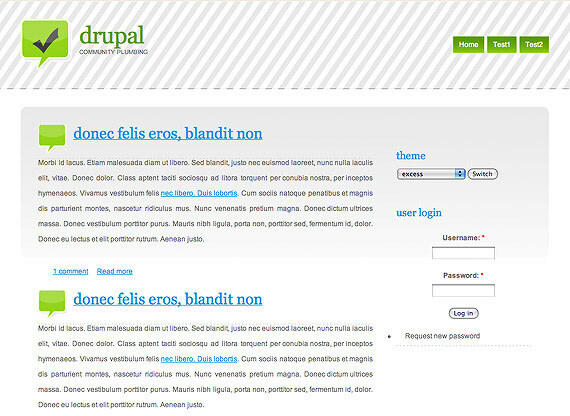 The newest version of Drupal is 7 but at the moment the most popular version of Drupal is still is 6 and that’s why in this article I have collected only themes for Drupal 6. 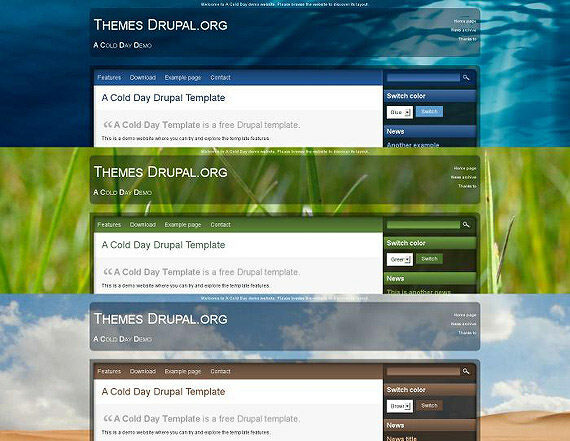 All of my collected themes are free to use, so feel free to download any of themes you like the most. Enjoy! 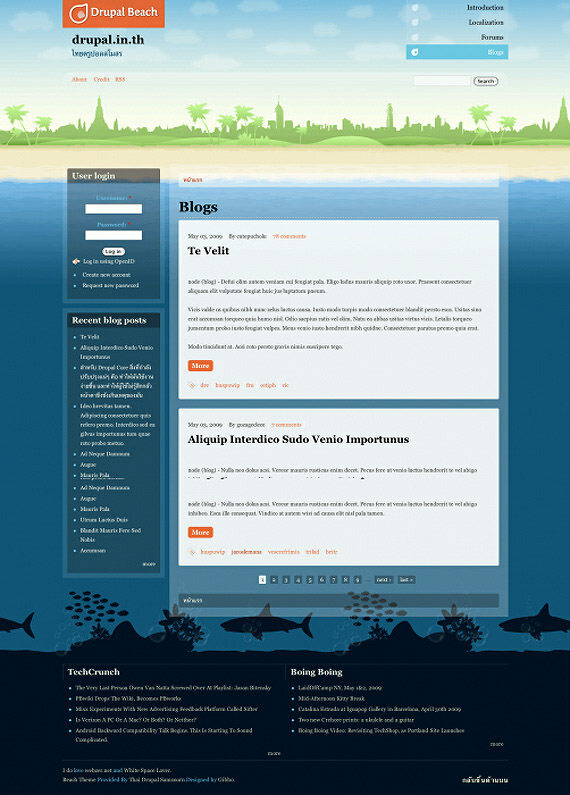 Very stylish theme for a blog. 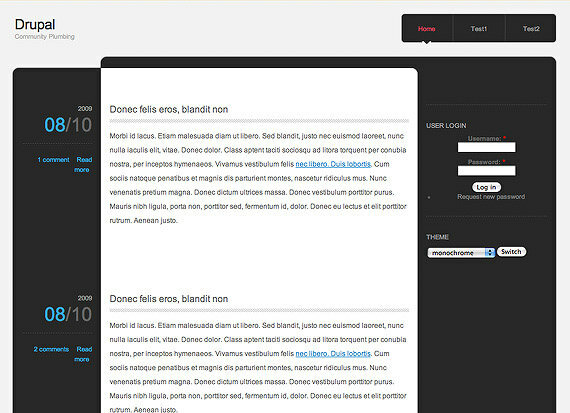 It has a cool looking left sidebar for entry dates and also very good looking navigation menu. 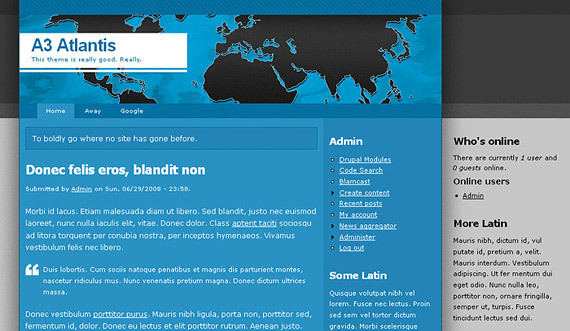 Love the rounded corners. 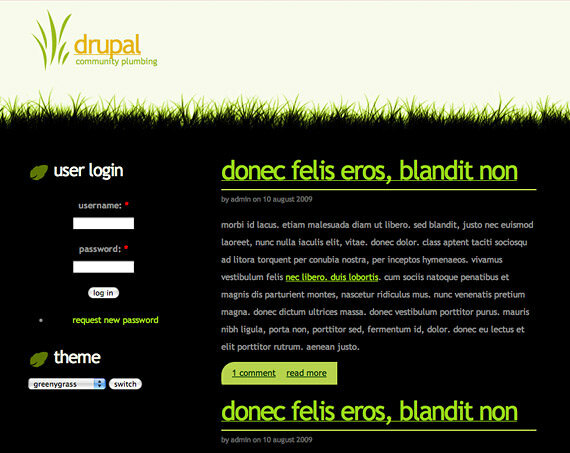 Simple but beautiful Drupal theme with a nice header for your blog or portfolio. 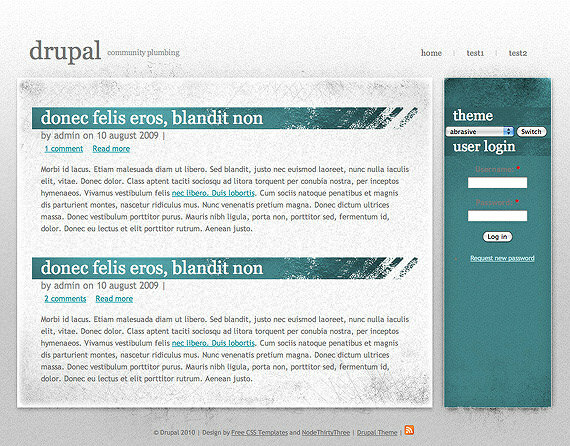 Love the style of this theme. 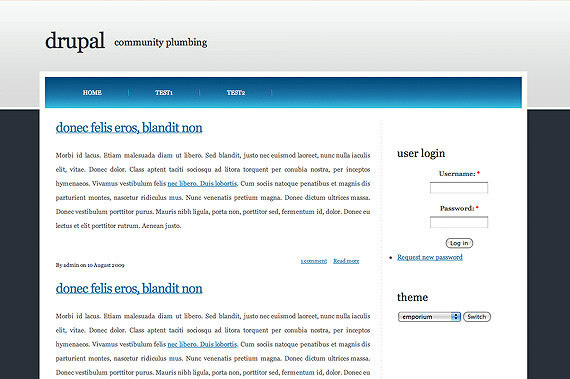 This theme is not complicated but it has a great, simple design. 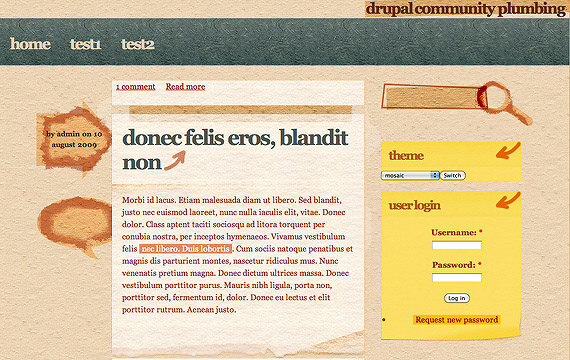 Great Drupal template for your blog. It’s not complicated and also isn’t very simple. 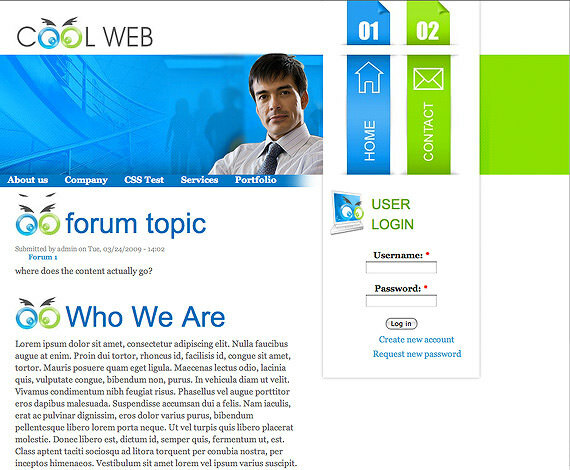 Very friendly website design. 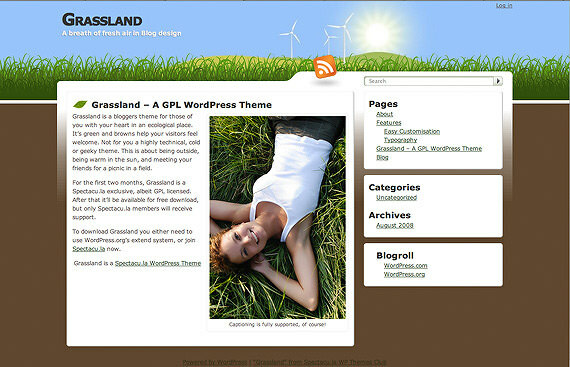 Good looking sky for the header and grass for the content. 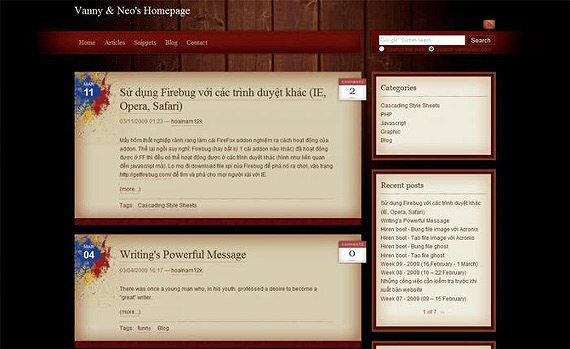 Another great template for a blog. 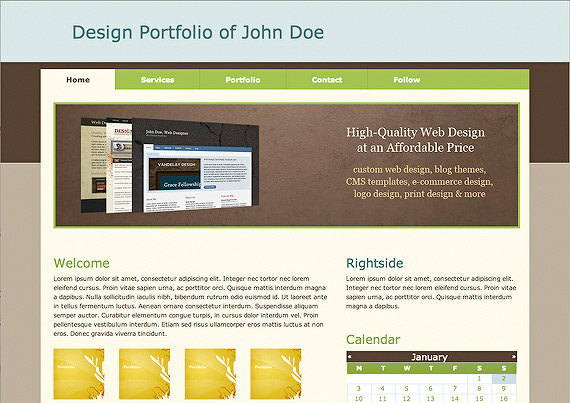 Bright green color in the background looks awesome. 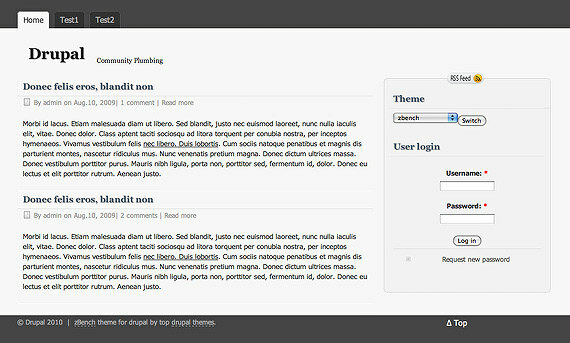 Clean and simple theme which could be great for a blog. 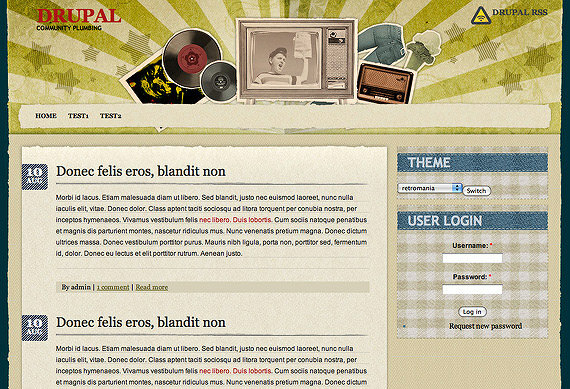 Retro style theme for your classy website. 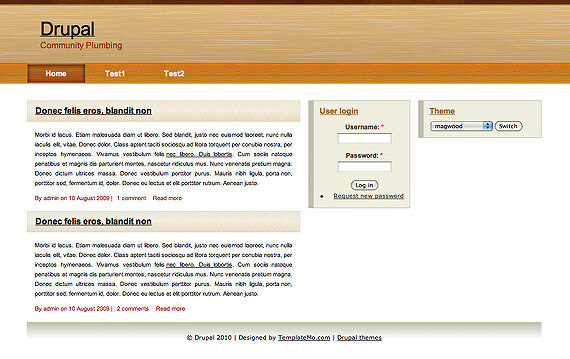 Very cozy theme which uses mostly warm colors. 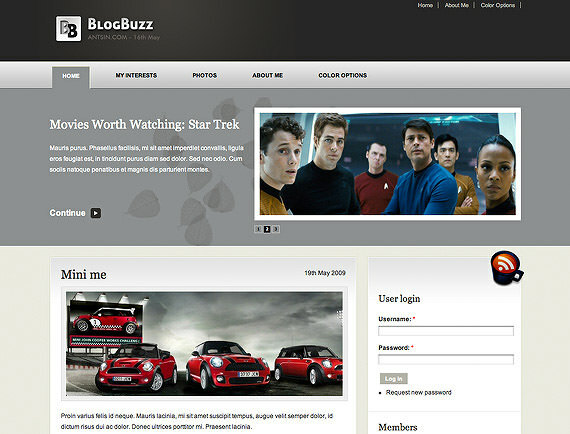 Elegant theme for your blog. 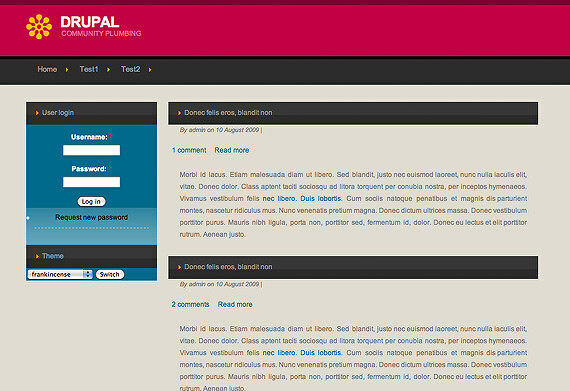 Simple theme which looks very elegant. 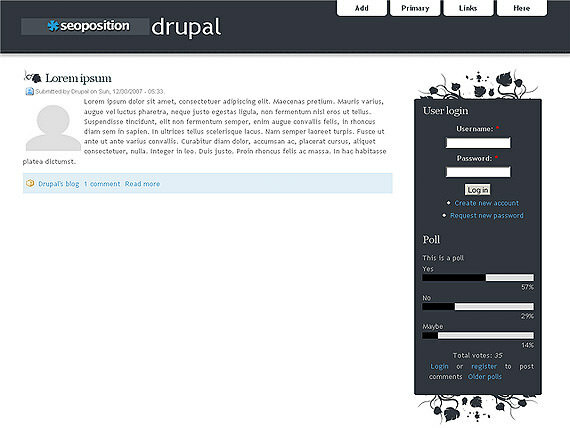 Not very complicated theme with a beautiful background. 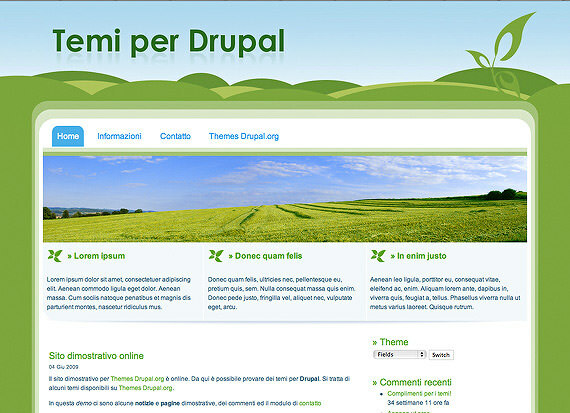 Drupal theme with a great navigation menu. 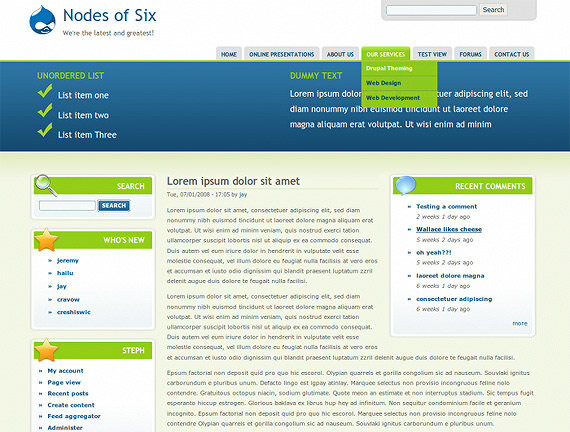 It also has nice bright green speech bubbles for headings on the right sidebar. 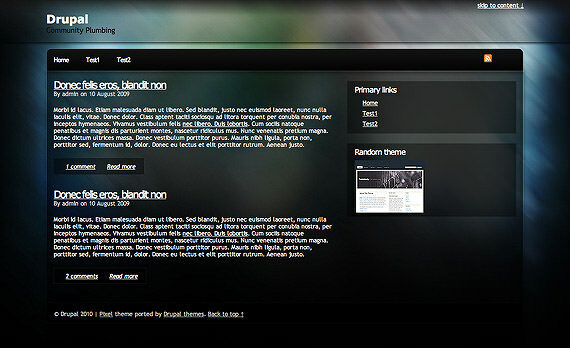 Great theme if you like dark colors. 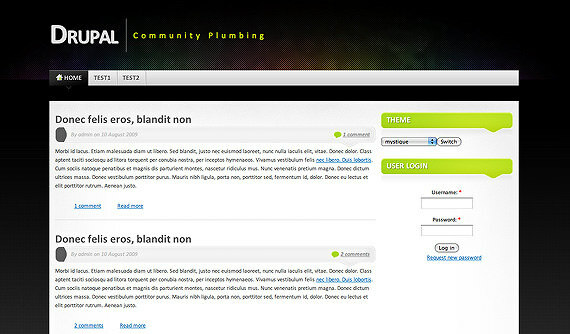 This theme has an abstract background. 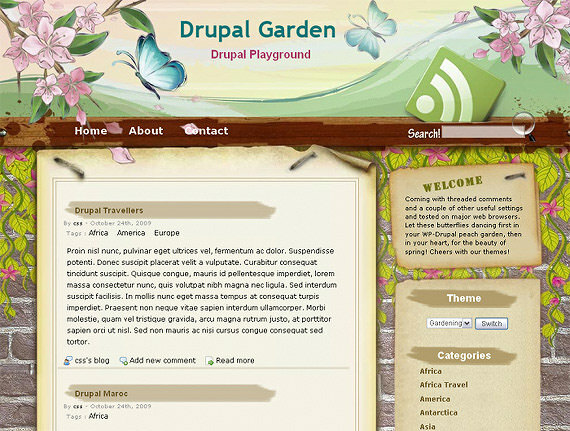 Cool theme for those who love nature. 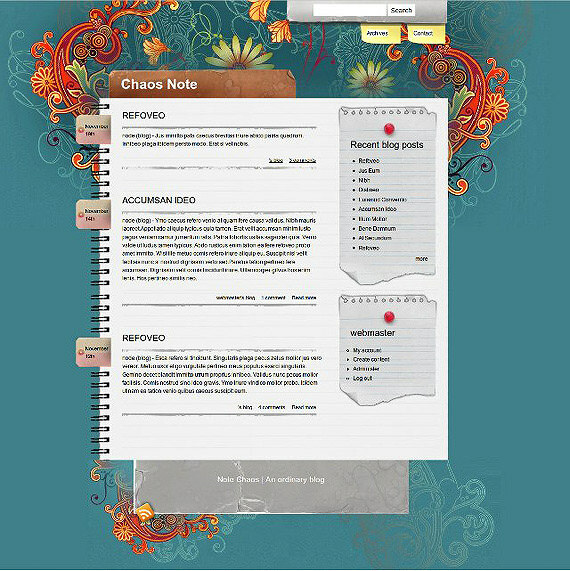 Simple but beautiful design. 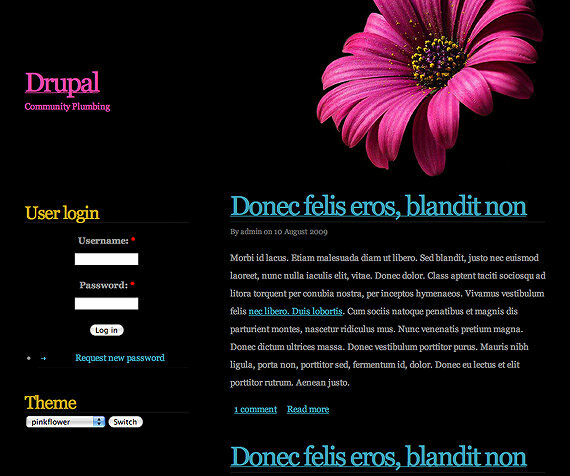 Very stylish theme which uses pink and bright blue color mostly. Flower on the right side also looks great. 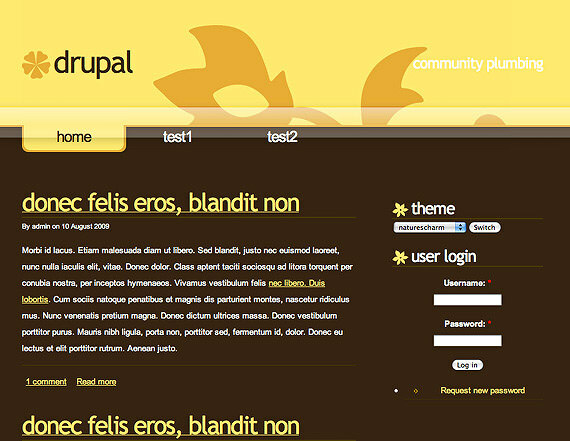 This template looks great because of its cool looking header and bright yellow color. 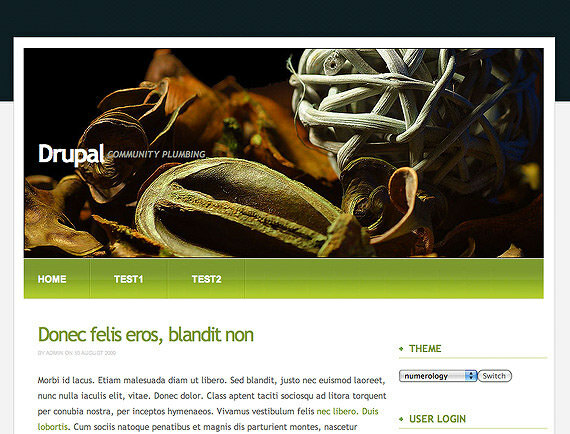 Drupal 6 theme with brilliant style. 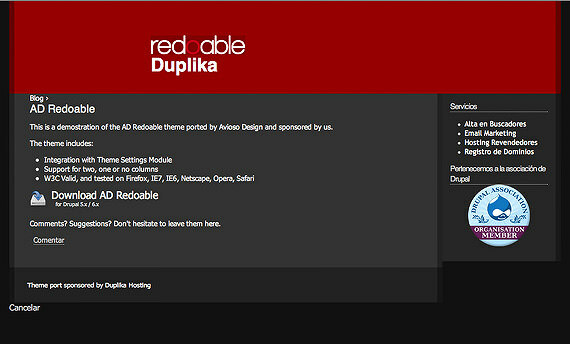 Check out the search box – nice! Very elegant design. 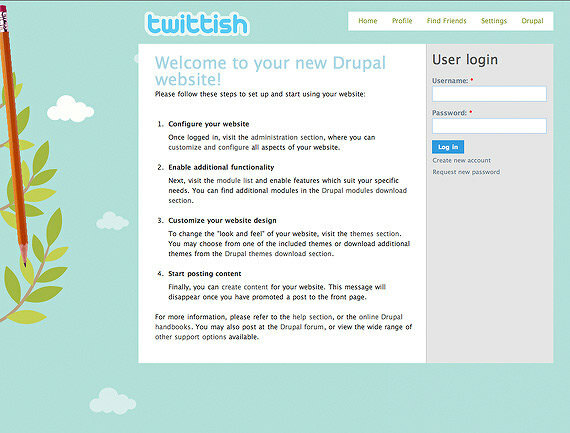 Header image looks brilliant! 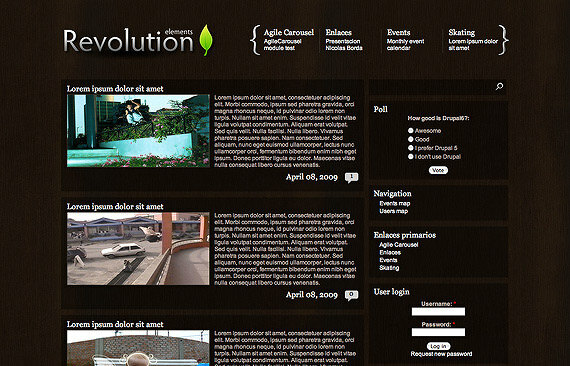 Background for navigation menu is in bright green color which looks good. This is very interesting design. 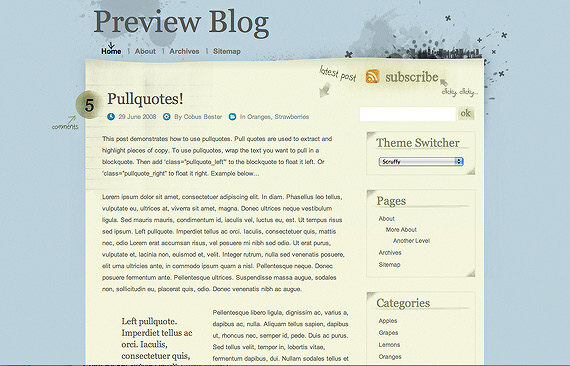 If you want a design for your blog which looks different to others then this could be your choice. 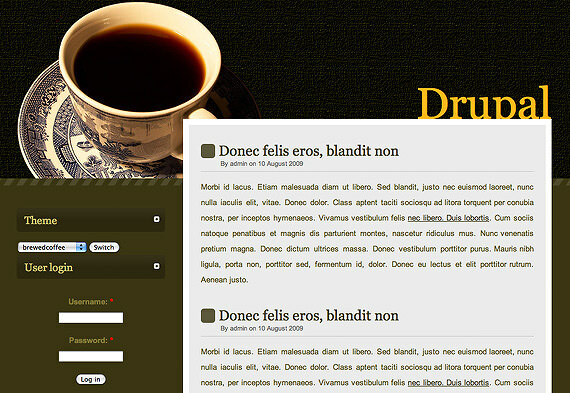 If you are a coffee lover then this theme would be suitable for you. 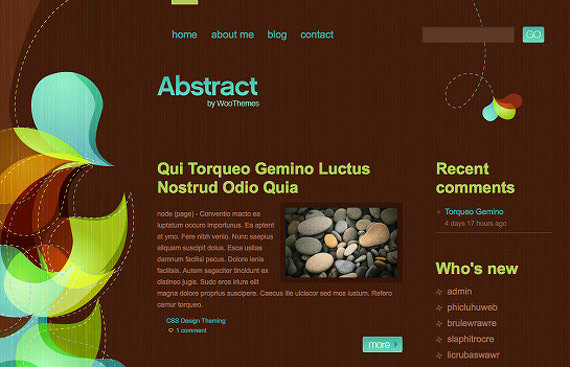 Like the style of this design. 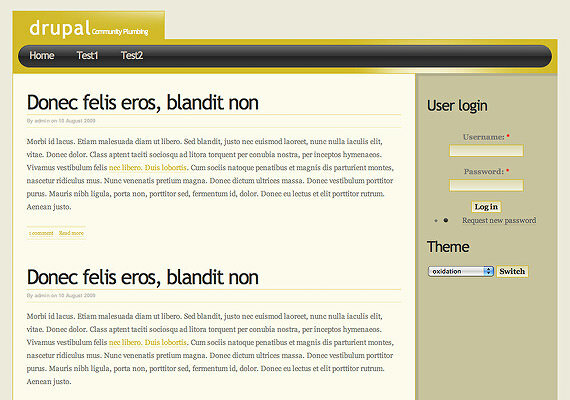 It’s very simple but the header with its yellow color and shiny elements looks great. 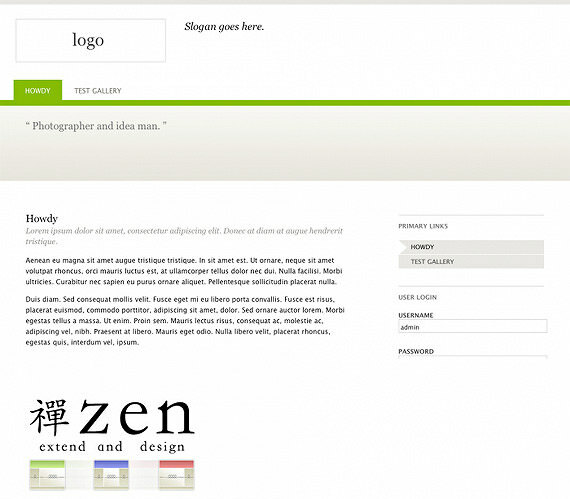 Very simple and beautiful design which doesn’t need anything else to be added. Brilliant design! Love the stripes for the header and also the green speech bubbles for the logo and headings are a very cool design element. 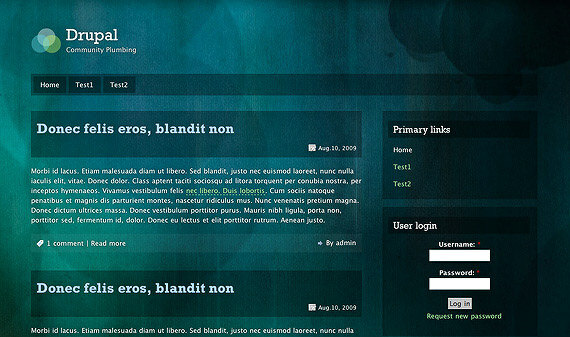 Great theme with beautiful style. 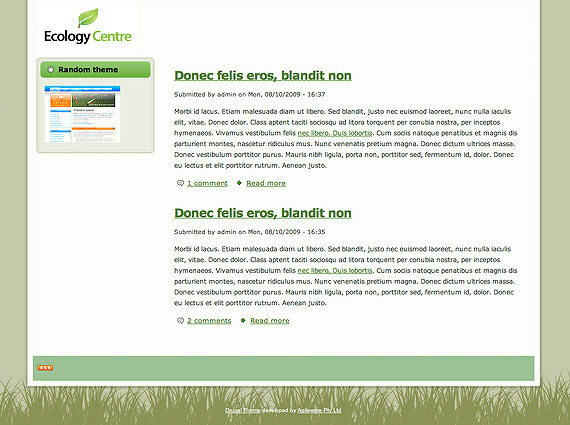 Grass which divides header and content looks good.